Male. Taken at Dry Sandford Pit, Oxon on June 14th 2014. Male underside. Taken at Bernwood Forest, Bucks on July 3rd 2015. Female underside. Taken at Dry Sandford Pit, Oxon., on June 28th 2014. Mating pair. Taken at Whitecross Green Wood, Oxon on July 2nd 2011. F. procida. Taken at Goranje Taboriste, Croatia on June 5th 2017. Ab. galene. Taken in the Vercors NP, France, on July 20th 2018. 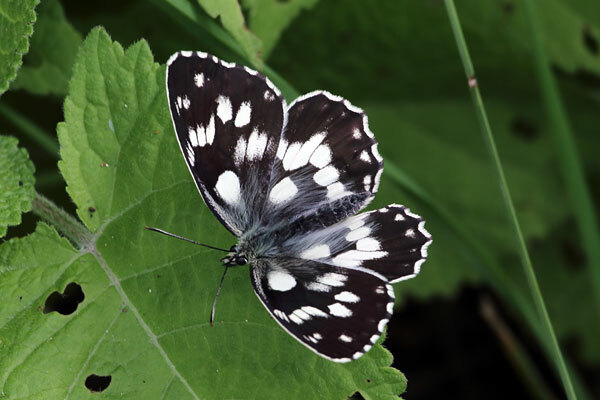 The Marbled White is an attractive black and white butterfly which is unlikely to be mistaken for any other species. 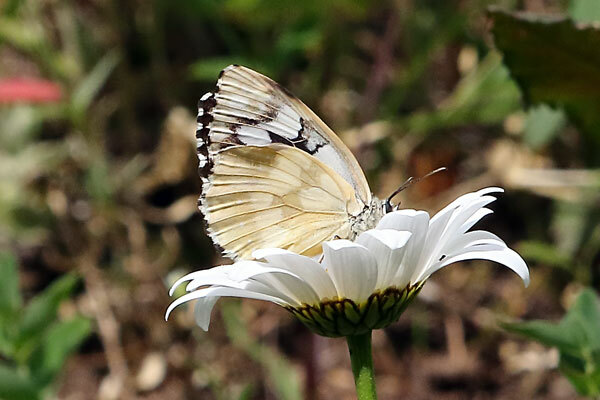 It is commonly encountered in grassy meadows and often feeds on purple flowers. 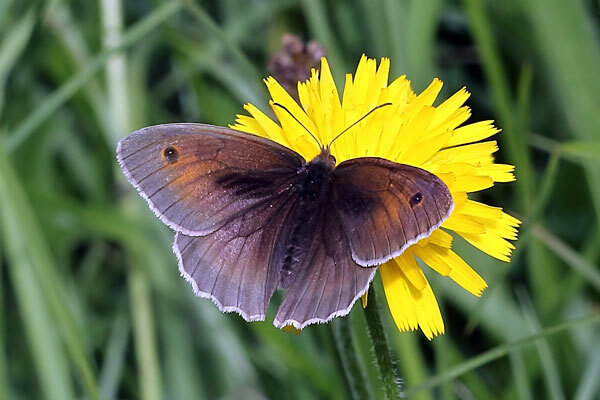 Although largely white, it is classified as a 'Brown' butterfly as its life cycle and habits are very similar to other grassland 'Browns' such as the Ringlet, Meadow Brown and Gatekeeper. It is found throughout most of southern and central England, north and east Yorkshire, and parts of south Wales. It is absent from Scotland and Ireland. 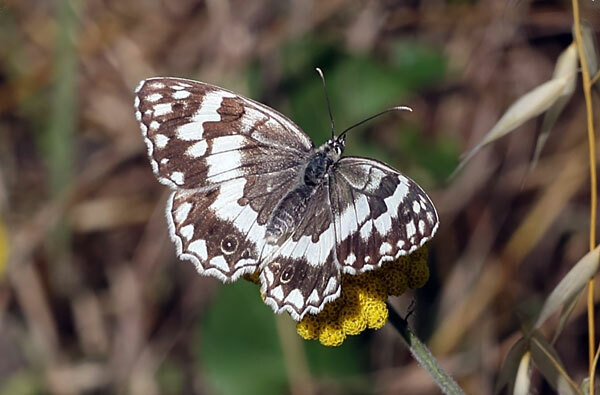 The Marbled White is found in unimproved grassland where the grass may grow up to 18 inches high. The largest colonies are found on downland but even small strips of grassland, such as road verges, field margins, woodland clearings and disused railway lines can also contain colonies. There is one brood per year. Adults begin to emerge in mid-June, with the peak in mid-July, tailing off into August. The larva is the over-wintering stage. The main larval foodplants are Red Fescue, Sheep's-fescue, Tor-grass and Yorkshire-fog. 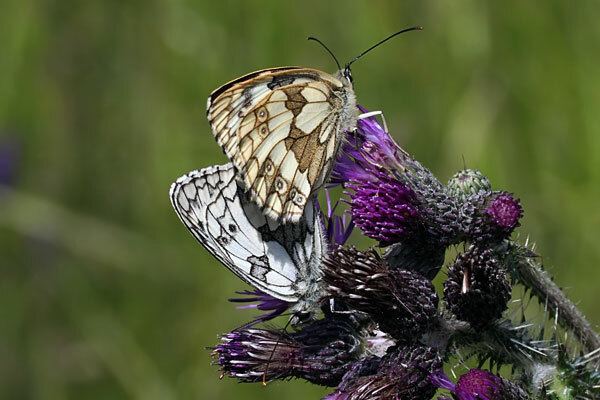 Adults feed primarily on Thistles. Knapweeds, Marjoram, Red Clover, Thyme, White Clover and Yarrow are also used. Adults often cluster together on suitable flower heads.